Translating Poetic Discourse argues in favor of a critical model that bridges between translation and women's studies on theoretical and practical levels. 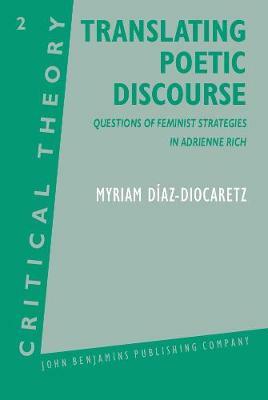 It proposes key-elements to be integrated into the problem of interpretation of contemporary poetry by women, and discusses the links between gender markers and the speech situation in feminist discourse as a systematic problem. This book will be of interest to scholars of Translation Studies, Women's Studies, Poetry, Comparative Literature and Discourse.